It's time for another Wednesday Stamp Club sketch. This is sketch number 200 for MFT! Wow! A HUGE thank you to all of you that participate in this weekly challenge. We love to see your creations each week! For this week's sketch I inked up the oh so sweet, Christmas Cuteness stamp set. I absolutely adore the santa is this set. 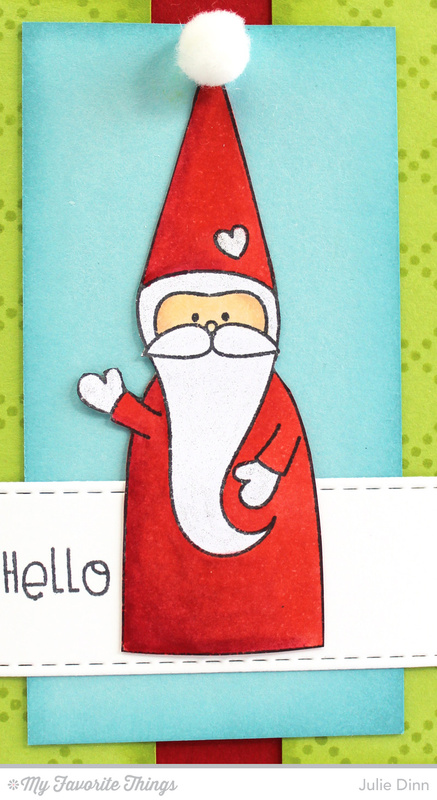 I stamped the santa on a piece of X-Press It card stock and I coloured him with Copics. I added a little shimmer to his hair, beard, gloves and the heart on his hat with a Wink of Stella pen. 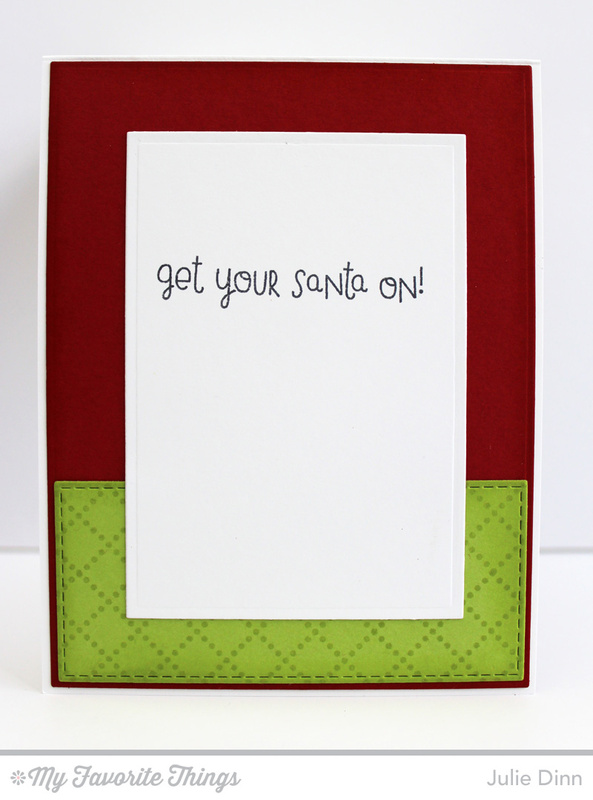 On the inside of the card, I stamped one of the fun sentiments from the Christmas Cuteness stamp set. Be sure to check out the MFT Blog to see all the fabulous creations designed by the MFT team and our fantastic customers.